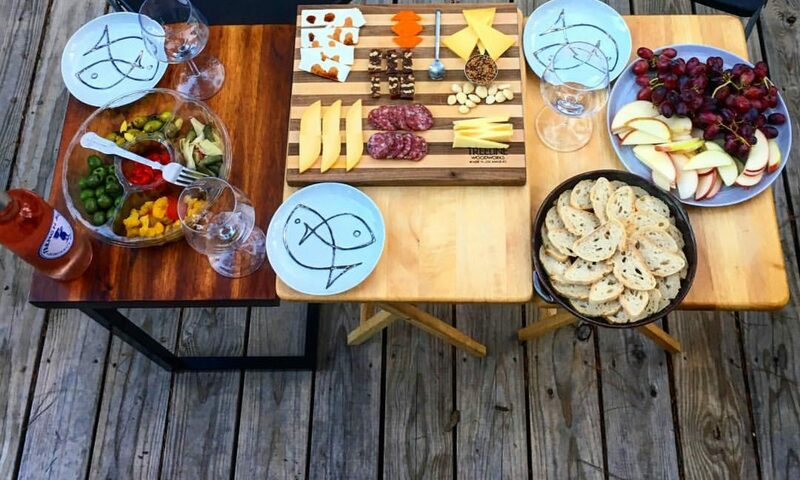 After playing second tier to other bacon-like foods (such as prosciutto, serrano, and capocollo), bacon is currently experiencing a resurgence in popularity. Bacon is the new bacon. One of the current bacon trends is to pair it with chocolate. I’ve even heard of Peterbrooke Chocolatier selling chocolate coated strips of bacon. Although I haven’t tried the chocolate coated bacon, the concept served as the inspiration for me to make bacon chocolate chip cookies for my office cookie exchange. 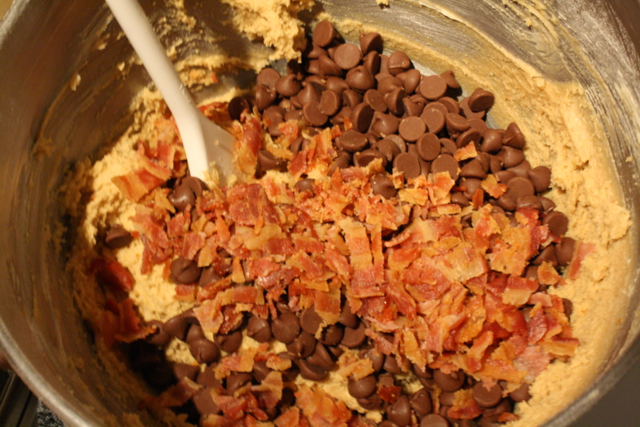 Like many of the best things in life, these cookies start with bacon. 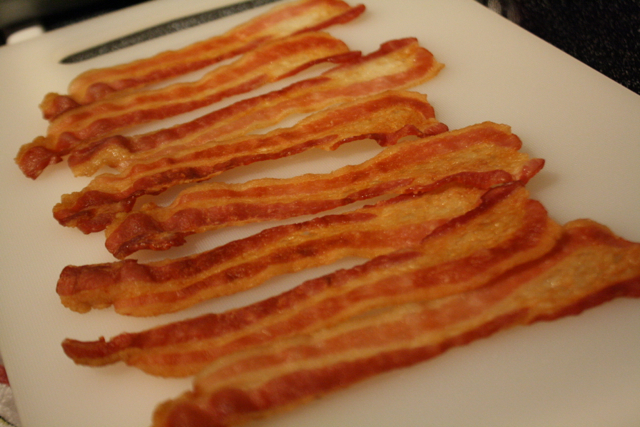 To make sure the bacon pieces are crispy and the cookies do not end up oily, sandwich the bacon strips between sheets of paper towel and cook in the microwave until crispy, about 2-3 minutes. Let the bacon slices cool before crumbling into pieces. In a bowl, combine the flours, baking soda, and salt. In a mixing bowl, cream the sugars and butter. Mix the eggs into the creamed butter, one egg at a time. Add the vanilla extract to the mixture. Gradually add the flour mixture. Beat the ingredients together until combined. Fold in the chocolate chips and bacon crumbles. 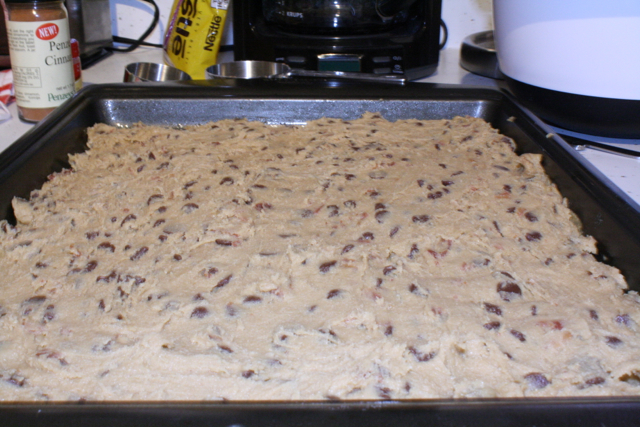 Once the chocolate chips and bacon crumbles are incorporated, spread the cookie dough out onto a non-stick jelly-roll pan. Bake the cookie dough at 375 degrees until golden brown, about 20 minutes. 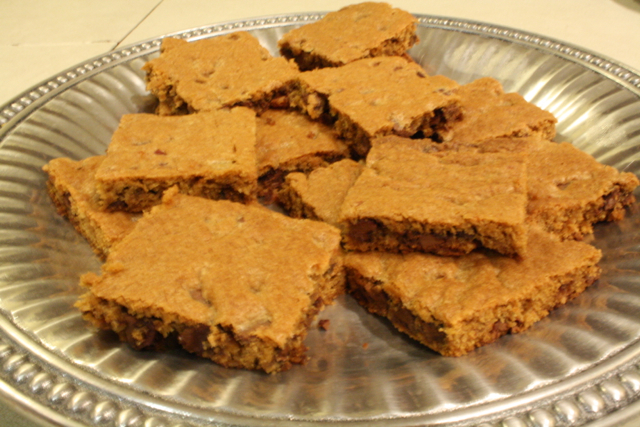 Let the pan cookie cool slightly before cutting into square cookies. Jill and I both took the cookies to our respective offices. With the exception of a few vegetarians, everyone gave the cookies great reviews. One of Jill’s co-workers expressed the desire to marry one of the cookies. A few of my co-workers wanted more bacon in the cookies, but most of them thought they were perfect the way I made them. If you make a batch of the cookies, let me know how they are received and if you end up making any changes to the recipe. Yum! These were good as-is. But if you want to make them again to test it out with more bacon feel free to bring them to the office, I volunteer to taste test.